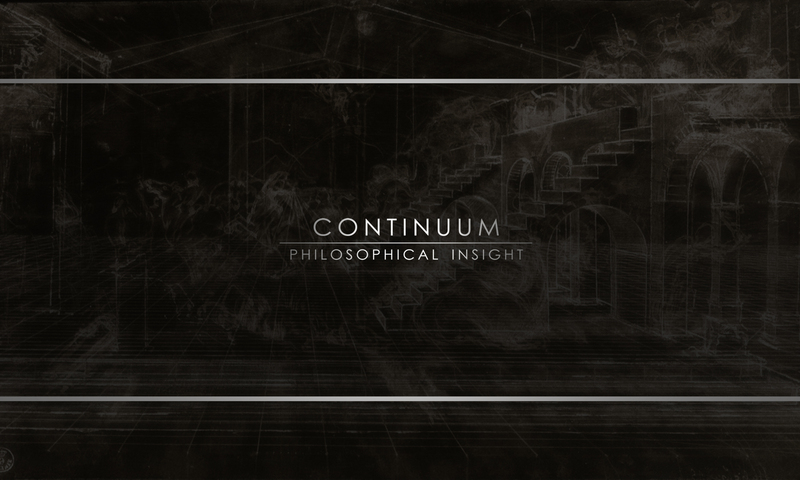 Welcome to Continuum Philosophical Insight: a personal philosophical consulting, education, and research firm providing philosophically-informed insights outside the standard paradigms of academic practice. Welcome to philosophy for digital life. Everyone asks this question and seldom, if ever, is anyone really satisfied with the answers. Why? It is perhaps the oldest of philosophical questions; you would think after 2600 years, someone would have—should have—found a final answer. Maybe someone has, but we don’t recognize the answer; or, maybe, something of the answer resides in asking the question. And maybe part of the question’s difficulty resides in learning to ask the question in the right way. That is, questions about the meaning of life are not questions in the same way that math problems are. There are no blank lines into which someone can write a solution which solves the problem once and for all, for all time, whenever it is asked. Life—human life—is much too complex for that: our difficulties are not the same from one day to the next, let alone across years, decades, and generations. Which isn’t to deny the wisdom of eras past; to the contrary, we are fools to ignore the great thinkers of those 2600 years who spent their lives struggling with the same questions we find ourselves facing today. Questions of meaning—life, purpose, truth, goodness, justice—are pursued in countless reams of philosophical texts, from the dialogues of Plato to the disputed questions of the scholastics, from Descartes’ Meditations to Nietzsche’s polemics. But navigating the halls of philosophical thought is no easy, straightforward, or simple task. Where should one begin? With Plato, Aristotle, the Stoics? Descartes, Locke, the moderns? Can someone pick up Martin Heidegger without having first wrestled with Kant? Can critical theory be grasped without a phenomenological strength? My purpose is to guide you through these halls. I am a personal philosopher. Though I have expertise and a specialization—having earned a Doctorate in Philosophy—I am neither an expert nor a specialist. You could say that I know a little something about everything, yes; but, much more importantly, I spend my days (and many of my nights) studying, researching, thinking about—questing after—an understanding of the whole: the whole of life, the universe, and everything; how all the pieces fit together, or how they ought to fit together. The phrase “personal philosopher” might sound a tad odd, perhaps even archaic—the sort of position you’d find in a 17th or 18th century nobleman’s court, and not perhaps what you would expect to find on a 21st century website. But you and I and nearly everyone else in the world are entering, have entered, a new paradigm of technology: the paradigm of digital life. While many have focused on the mass distribution potential of the internet, the more potent possibility allowed by digital technology is the return of direct connections between persons. Distances are shrunk by our present-day connectivity; which, in turn, liberates time from the rigidity of the modern work schedule. In the emerging paradigm of digital life, new pathways for learning are developing. If you are interested in a different way of learning, if you are ready to start asking the right questions and in the right way—if you desire that human-centric education—then you could benefit from the assistance of a personal philosopher. I can guide you through the perennially-relevant thoughts and works of history, and, more importantly, I can help you develop habits of critical reflection and see the world through philosophical lenses. If you would like to know more about me or Continuum Philosophical Insight, you can read a short biography, a more detailed description of my approach, visit the FAQ or the blog, or send me an email.